I am a stay at home mommy to twins. My son Dylan and daughter Riley were born April 2010. Before having my babies I was a retail manager. I live in Portland, Oregon with my husband of 11 years. Mommy Wants Freebies! was originally a place to post the things that I got from letting baby comoanies know I was having twins. From there I started searching for freebies and then got into reviews and giveaways. I love finding new and interesting products to share with my readers. I started my personal blog nearly 3 years ago. 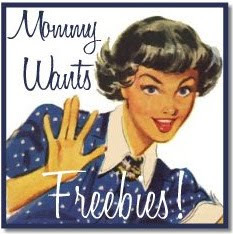 Mommy Wants Freebies! was created in March of this year. I originally started blogging as an outlet for my infertility issues. I had IVF to conceive my twins after nearly 9 years of fertility treatments. So my personal blog has really been more of a diary of that. Mommy Wants Freebies! was started while I was on bedrest during the last months of my pregnancy. All kinds! But I do love finding things for Dylan and Riley. I also love featuring organic and eco-friendly products. There are so many! I really love them all! Mostly parents of young children, but I do feature everything from makeup and hair products to sport bottles, cleaning supplies, and jewelry. I definitely see my blog growing as my twins get older. I see it continuing to feature items that are age-specific, but also broadening the range of products based on reader feedback. Time! With 4 month old twins time is always a factor. But I do find the time to write my posts during their naptime and after they go to bed. I really love seeing my readerbase grow. It’s exciting to know that there are people out there who are excited to see what’s next. I also love the challenge of finding great things for my readers! Persistence! We all start out pitching to any company that will listen, and maybe 10% will give a response. But once you get established you will start getting companies pitching to you! For readers entering giveaways – be sure to read how to enter. There have been many times where a reader hasn’t commented enough for the entry (3 entries for blogging, for example) and are missing out on entries. Also make sure we know how to easily email you. It’s hard to hunt for that email address and if you win we want you to be able to claim your prize! Well, Simply Stacie of course! All Aboard (the review and giveaway train)! is a good one too! I also love reading My Wee View – that’s the blog that introduced me to reviews! Amlo Farms is wonderful too! All about sustainable living! This is great Stacie…thank you! Thanks! This is a great feature to your site.